For the first time, three PCIe standards are expected to coexist, but they all have a separate role to play. PCIe 3.0 will most likely be relegated to budget motherboards or used for slower storage devices while PCIe 4.0 lanes are used for the graphics card. AMD already does something like on its X470 platform with PCIe 2.0. PCIe 4.0 will solve some key problems, not with bandwidth, but rather with how lanes are assigned. With GPUs needing 16 and NVMe drives needing 4, the 20 to 24 PCIe lanes consumer motherboards currently have are quickly saturated. PCIe 4.0 could double the bandwidth or halve the lanes required for each device, letting users choose between lots of current gen devices or a few next-gen ones. 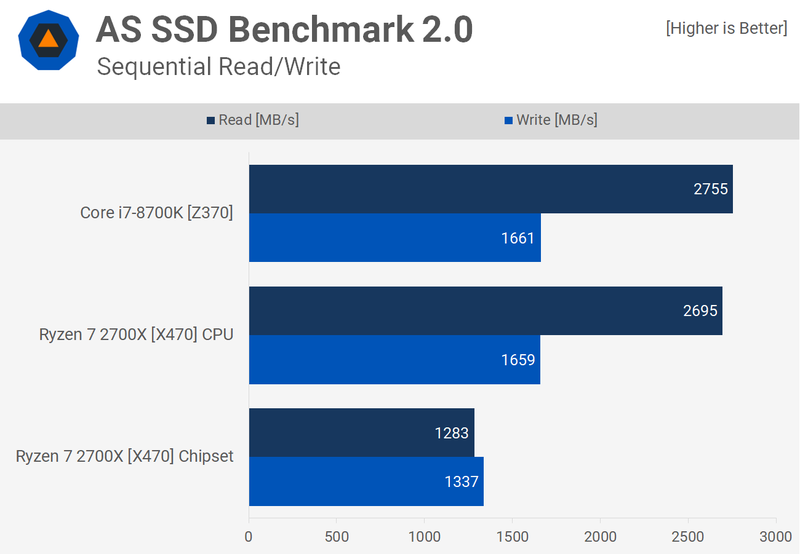 At CES 2019 Phison demonstrated its first PCIe 4.0 SSD, which could achieve impressive 4.1GB/s read and 4.3GB/s write speeds. When they upgrade it to Toshiba’s new BiCS 4 flash, they say they can achieve 4.8GB/s read speeds. Even if 7nm Ryzen can’t live up to the substantial hype, its PCIe 4.0 support will undoubtedly make it highly desirable for enthusiasts. AMD lets users have more PCIe lanes than Intel, but some of them are deprived of bandwidth because of this as we discovered benchmarking last year. Companies have suggested that PCIe 4.0 storage will launch at the same time as Ryzen 3000, but nothing has been confirmed. AMD has already released a PCIe 4.0 graphics card for deep learning, which suggests their upcoming Navi GPUs might support it, too. PCIe 5.0 specifications are currently at version 0.9, meaning they’re in the late stages of testing. Other than increasing transfer rates to 32 Gigatransfers per second, aka 63 GB/s, PCIe 5.0 just refines some light electrical standards and continues with the 128b/130b encoding from 3.0. While consumer graphics cards already have much more bandwidth than they require with PCIe 3.0, the same can’t be said for the server space. High-power workloads such as deep-learning or scientific simulations require multiple GPUs to talk to each other quickly, something PCIe 5.0 can revolutionize. PCIe 5.0 storage devices will also help web servers access data much faster. According to the group that finalizes PCIe specifications, PCI SIG, a variety PCIe 5.0 devices are in deep development and are expected to debut in the server market late this year. The headline is a bit misleading. PCIe 4 will be available on AMD chipsets this year. PCIe 5 requirements will be finalized this year. We likely won't see PCIe 5 in new hardware, except possibly some high end servers, this year due to extensive testing of the finalized spec with currently experimental hardware. orondf, Arris, IceIceAyu and 5 others like this. AMD has only said (@CES) the CPU's will support 4.0, and word on the street is 300 and 400 series motherboards are 4.0 compatible between CPU and top x16 slot minus the faster signalling rate of 4.0. Pcie 4.0 is almost here in the real world. production will be here for the masses in 2019. Pcie 5.0 is a paper launch only ment to be use in server rooms on the leading edge. Pcie timers and retimers are costly this is why the chipsets are only getting 3.0. No mention of external storage devices using PCIe 4.0. Why would talk of devices be necessary in a topic about communication specification? and servers are not known for hi-end graphics -- rather massive I/O workloads. 4.1 implies compatibility with 4.0. Go plug a PCIe 3.1 device into a 3.0 slot, and see what happens. Then go plug a 3.0 device into a 2.0 slot. The 3.1-in-3.0 configuration will work with the device operating at a reduced capability, and the 3.0-in-the-2.0 configuration won't work at all. AMD's X570 chipset launches this year, likely at Comdex at the end of May. 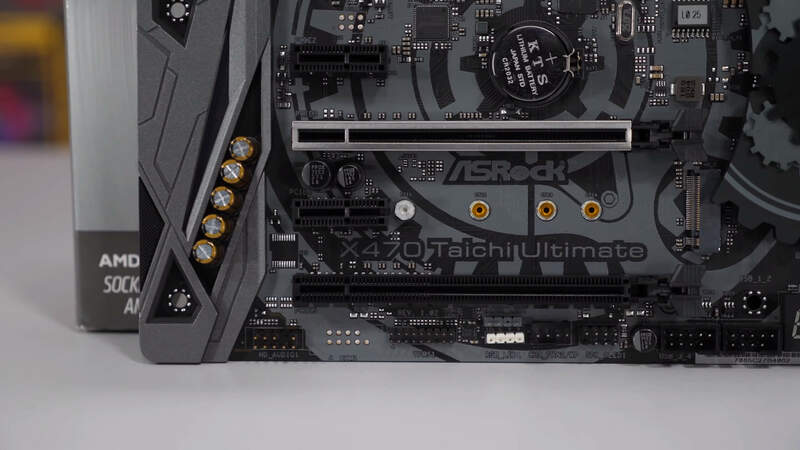 PCIe 2.0 motherboard slots are fully backward compatible with PCIe v1.x cards. The main difference in version number increase is transfer rate. Each specification doubles in rate. PCIe 4.1 would be an update to 4.0 protocol which operates at the same throughput. I have no idea where you get this compatibility crisis changing PCIe standards. The standards are designed to be backward compatible with older devices. Now with that said there have been reports of issues, but that was not the intent of the specification. And the issues are more than likely (I'm assuming) device and/or chipset not adhering to full specifications. You will just need a complete system upgrade for about $1200. (guessing) Enjoy 15% actual benchmark improvements, and 0% noticeable gaming difference.